I got a stack of packaging cardboard at work and figured I'd try it out to do some ink drawings on. 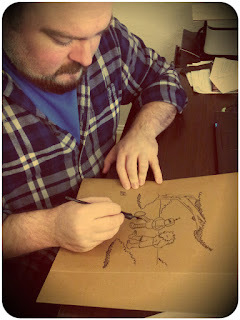 I like the look of the black ink on the brown paper, but the cardboard is hard to draw on. The nib keeps catching and the ink absorbs into the texture of the surface in weird ways.